Flamenco, a colorful, passionate dance with roots in Spain and gypsy culture, makes its way to the West Coast for The Los Angeles Flamenco Festival on March 15th and 16th. This dance steeped in dramatic flair has become synonymous with Spanish imagery and symbolism. To many, Flamenco is to Spain what vodka is to Russia or kangaroos are to Australia; Unmistakable images of national identity, charm and symbolism. This riveting dance wears its passion on its ruffled sleeves, with scenes that play out like a dramatic soap opera. With a history rooted in the mysterious gypsy culture, it has since evolved to include some modern elements and influences, captivating audiences worldwide. With such global appeal, audiences no longer need travel to Spain to experience this emotive expression, as Flamenco has found its way across the Atlantic and into our backyards with the International Flamenco Festival. With more than 20 different shows, this latest edition aims to highlight the role of women in the creation of the dialogue of the art of jondo (Andalusian folk music) with other expressions. Now in its 18th year, the Flamenco Festival is made up of internationally touring performance groups featuring legendary Spanish Flamenco dancers, singers and musicians. These compelling artists feature a combo of traditional and contemporary Flamenco styles, including themes such as Del Fuego y La Memoria (translation of the fire and memory), and Andalusian Voices : Tempo of Light, with headliners Arcángel, Carmen Linares and Marina Heredia. Following a successful run in Miami, The Andalusian Voices show makes its way to Southern California on March 15th with a special evening show at the Wilshire Ebell Theater in Los Angeles. As part of the Los Angeles International Flamenco Festival, these series of presentations feature some of Spain’s leading voices, ranging from gypsy roots of flamingo to contemporary styles. Carmen Linares, the legendary grand female voice of flamenco caste jondo (deep song), has been celebrated the world over for extraordinary expressive power of her voice. –FlamencoFestival.org; Marina Heredia’s mercurial, in passion voice, moves between clarity and rasp, tragedy and exultation. –New York Times; while versatile singular Arcángel, a tenor with all the dark tension that characterizes the best flamingo singers, transcends flamenco Borders with a rich imagination, always grasping the roots. –New York Times. With such impassioned reviews and a tremendous legacy, the chance to witness this legendary lineup right in your backyard is a unique opportunity not to be missed! Flamenco fans and art-culture connoisseurs will be treated to a second round of Flamenco fever with an entirely different show the very next day in North Hollywood at the El Portal Theatre. La Farucca “Del Fuego Y La Memoria” – presented by the Los Angeles International Flamenco festival, are poised to heat things up with their fiery, passionate performance. With a title, literally translating to Of fire and memory, one could expect no less then heated, passionate intensity at this show. Featuring living legend Rosario Montoya, in collaboration with Natalia del Mar “La Serrata” and musicians Juanilloro de Jerez, El Quini and David Caro. La Farruca hails from a dynasty of great Flamenco artists who raised her in a special environment for artistic development, with direct access to some of the great artists of the latter half of the 20th-century. Natalia “La Serrata” earned a title in classical dance from the Royal Academy of London before returning to Spain, eventually rising through the ranks to become an internationally sought after choreographer and performer. Flamenco Fever hasn’t only struck America’s West Coast. It is touring across the US, England and Canada, while simultaneously taking hold of the East Coast with the New York Flamenco Festival. Continuing now through March 24th, an array of live performances are scheduled at iconic sites throughout the Big Apple, such as Carnegie Hall, The Town Hall, Lincoln Center and Joe’s Pub. 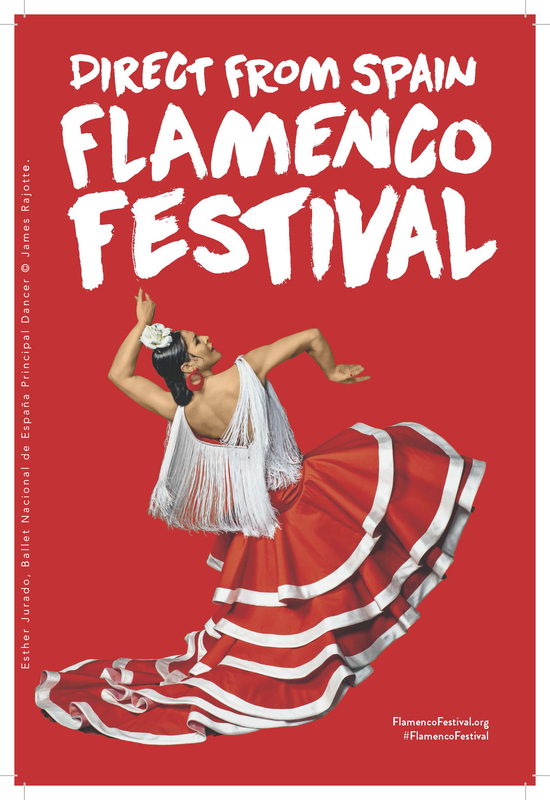 For more information or to buy tickets, visit http://www.flamencofestival.org/en/festivales/. Don’t miss these back to back super star shows direct from Spain, as they bring authenticity, passion, and cultural artistic expression from Spain to your very own backyard.